He’s a very good receiving option, combining good hands with a good ability to run routes. Once he catches the ball, he’s not done being a menace, because he can attack you with his run after catch ability. UCLA also used him in the blocking game quite a bit. He has shown to be a skilled pass blocker, while being a good run blocker, he definitely has more room to improve. It wills also be interesting to see how he comes back from his foot injury in 2017. 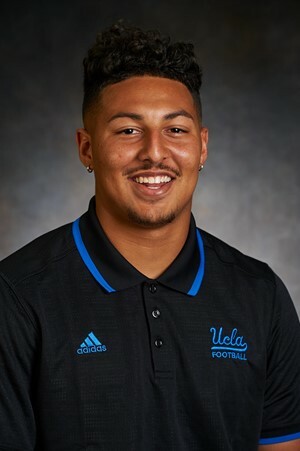 Caleb Wilson is the type of Tight End that you can use in pretty much any situation, and not be upset with the production you get. Any team that gets him past day 1 will be getting a steal. Receiving: 18 targets, 15 receptions (208 yards), 0 TD, 71 YAC, 31.0% target rate. Receiving: 5 targets, 3 receptions (41 yards), 0 TD, 14 YAC, 8.9% target rate. Receiving: 16 targets, 11 receptions (145 yards), 0 TD, 72 YAC, 26.6% target rate. Receiving: 7 targets, 6 receptions (65 yards), 0 TD, 12 YAC, 23.3% target rate. Receiving: 8 targets, 4 receptions (36 yards), 0 TD, 10 YAC, 22.0% target rate. Receiving: 7 targets, 4 receptions (92 yards), 0 TD, 58 YAC, 27.0% target rate.